First, I’ll like to thank delonicdevil (which is also a seller on eBay) for sending me the samples. 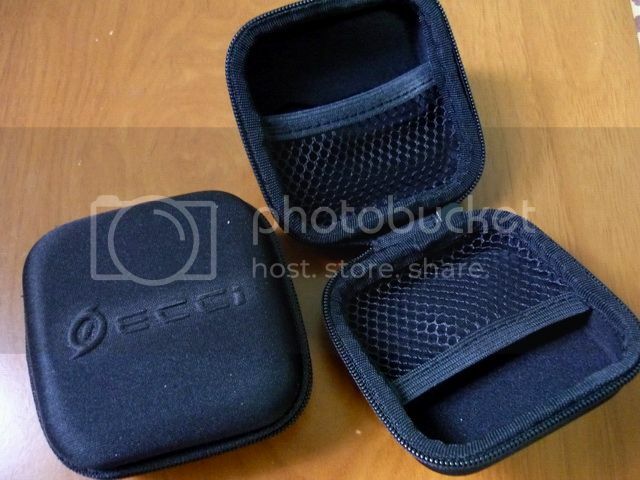 ECCI is the brand from the same company that brought us the Storm portable amp and Cyclone IEM a while back. As the business grew, the company decided to up its game with a new name and a new series of products at the end of last year. 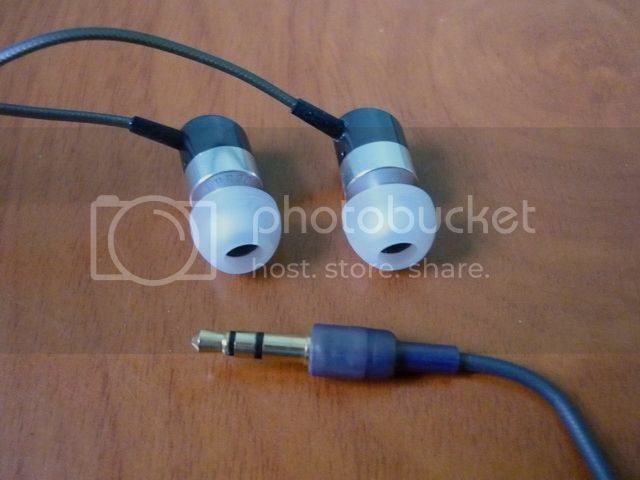 The original PR series, which were quite popular in Head-fi, was then slowly replaced by a new series of IEM in order to move the production from pure OEM’ed by another company to more of an in-house operation (or so I heard). The results are the PR100, PR200 and PR300 (the latest PR401 has hit the market as well). The name ‘PR’ is short for Pop and Rock – it is what the IEM are intended for: budget oriented products aimed for the mainstream listener. ‘Minimalistic’ pretty much describes the packaging of ECCI. 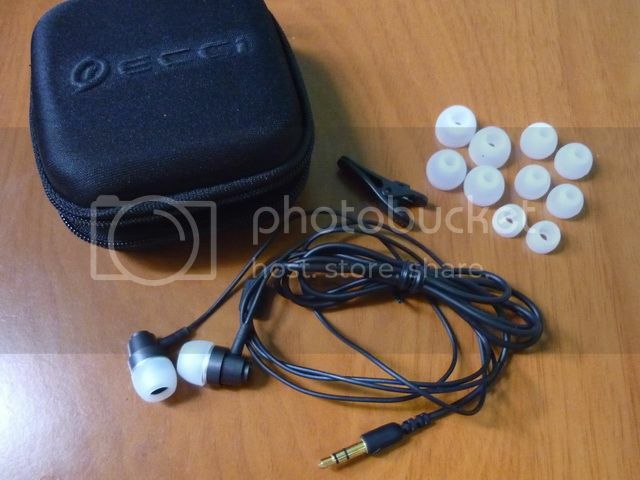 This is however not really a weak point – inside the box is a very well made nylon hard case, which will give the protection needed to keep the IEM safe. 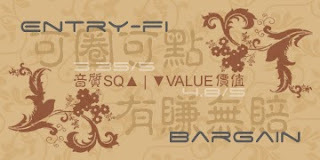 A good selection of very decent quality eartips is included as well. Two styles of single flanges with three pairs each on different sized, making a total of 6 pair of eartips. A shirt clip is included as well. 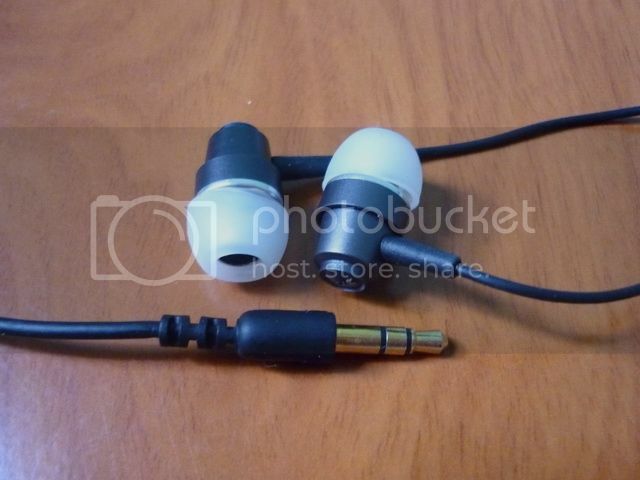 Build Quality is quite good. The housing is all aluminum alloys, which is a plus. The cable is a little stiff, but of good quality and beautiful to look at. PR300 actually has a softer black cable than the other two – possibly changed from the original silvery grey cable due to some complains about the slight stiffness. PR100 and PR200 look exactly the same except the marking on the font housing; PR300 on the other hand look a bit like a Denon. The two tone colors scheme and the slightly heavy housing make these housings look very classy. One of the things I really like about the PR100 and PR200 is their double position nozzle. 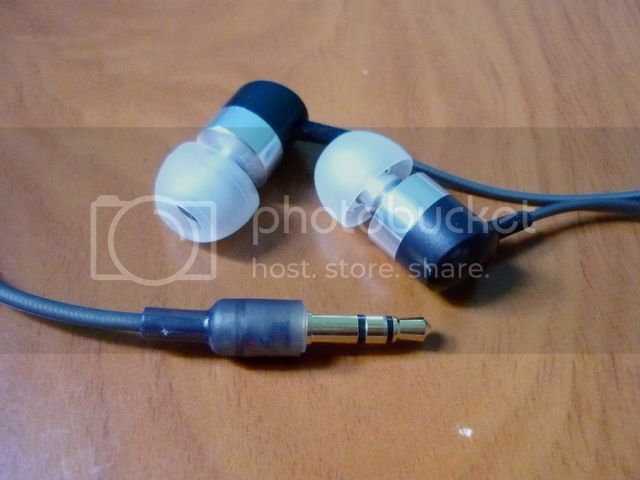 Sam design has been used on Audio Technica ATH-CKS70. Basically the nozzle has two positions where the silicone flange eartips can sit in, so you can get a deeper or shallow eartips position which can be just a little different in sound and fit. 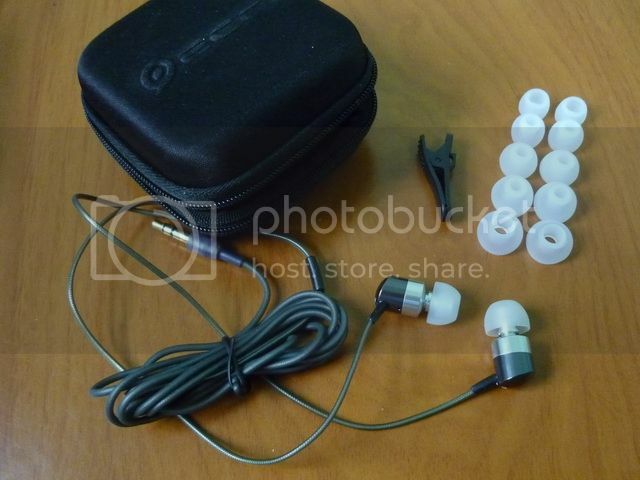 Isolation is slightly below average for all three IEM, decent for street use but not enough for very noisy environment. Microphonics is acceptable but nothing to write home about. 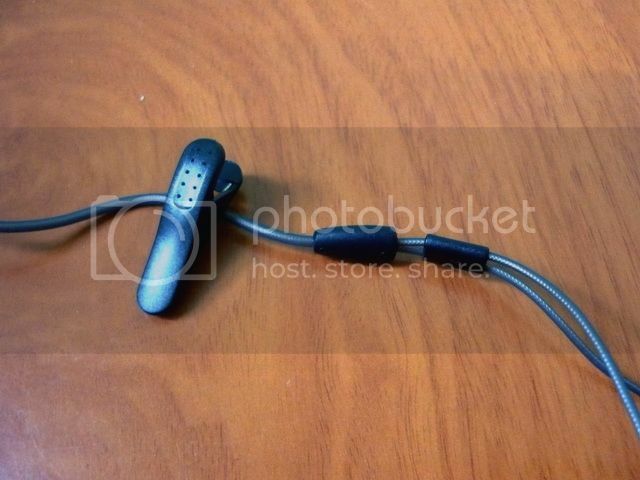 The inclusion of shirt clip should keep the issue largely at bay and you can wear all three IEM over-the-ears, except that PR300 doesn’t have a cable guide to keep the cable secure so maybe ear hooks will be needed in such configuration. 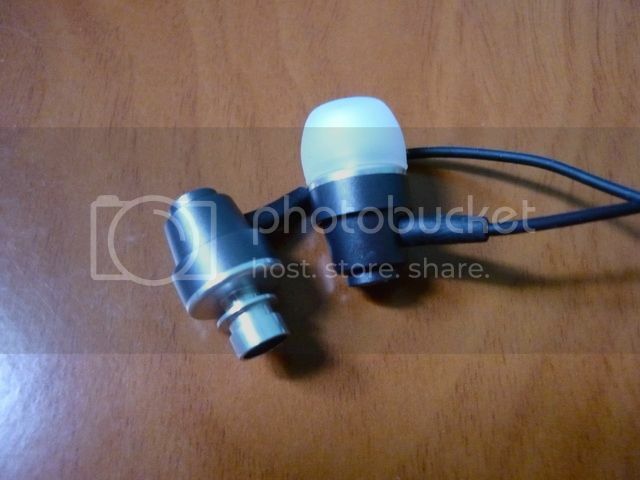 Overall, these IEM look and feel much more expensive than their price tags have suggested. 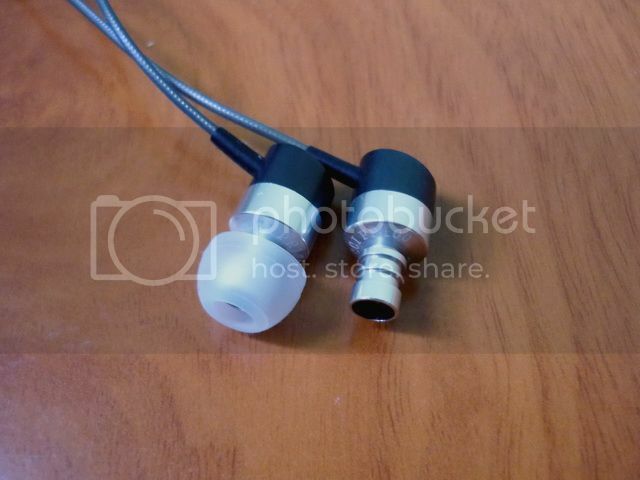 As usual, all three IEM received 50 hours or so burn-in before the audition. 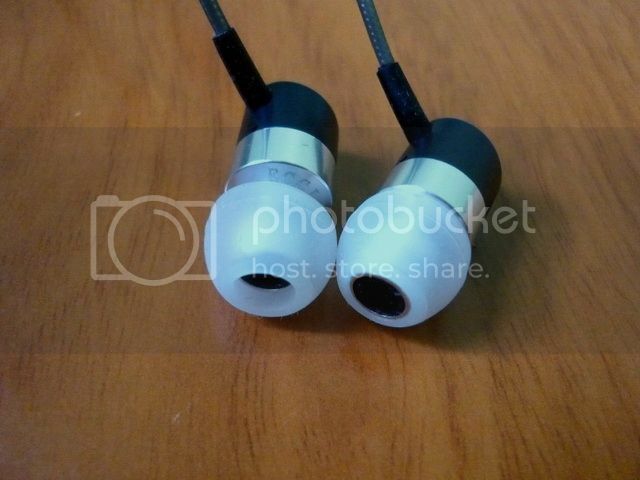 The overall sound signature of PR100 is warm, smooth and easy going to even a little lay back. Bass extends to quite deep in a roll off fashion, but neither abundance nor short in quantity. It is however good in quality with decent texture and just a tiny but of boominess to give a sense of fullness, but not overdone in anyway. Mid is slightly forward, decently bodied but not overly sweet, just enough to show off detail and gives a mid centric impression without flooding the rest of the spectrum. Treble too extends well but in a roll off fashion, taking a step back from the mid and bass, resulting in micro-detail being really micro, but not totally lacking. Soundstage is a bit below average due to the warm mid. The overall sound signature of PR200 is an upgrade over that of PR100, also warm, but with a better sense of balance and excitement. Bass extends the same fashion as PR100, but gone is the slight boominess, smaller in quantity but shows better control in comparison and maintains the same overall impact and texture. Mid is also presented very similar to PR100, slightly forward, decently bodied but not overly sweet, still gives a slightly mid centric impression but better in detail, separation and layering. Similarly, treble extends well in a roll off fashion though more forwarded, showing off micro-detail and sparkles which in term inject just the right amount of liveliness to the sound to give it a better balance in presentation without any major flaw. Soundstage is decent, with nothing to write home about. The overall sound signature of PR300 is different from PR100/PR200, and with a leaner, more V-shaped like presentation. Bass is quick, impactful, good in texture, well controlled, larger than that of PR200 though a bit short on decay. Mid is slightly recessed, setting the singer further away and gives a better sense of air. While still in good detail, it lacks the sweetness and intimacy of PR200. Treble is forwarded, full of detail and sparkles while able to keep sibilant away, which is a good thing. Soundstage and image is better than average thanks to better air and micro-detail, though lacks the capability of showing true depth. 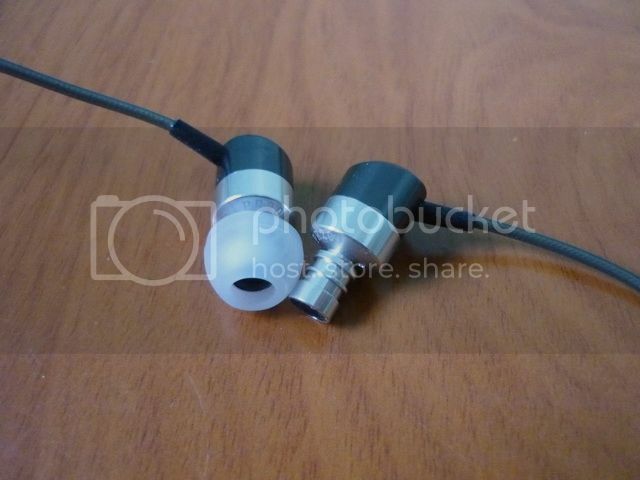 All three IEM in the PR series have showed to have a good bang of the buck factor for their asking price (PR100 - US$29; PR200 - US$39; PR300 - US$49, cheaper for Singapore local). 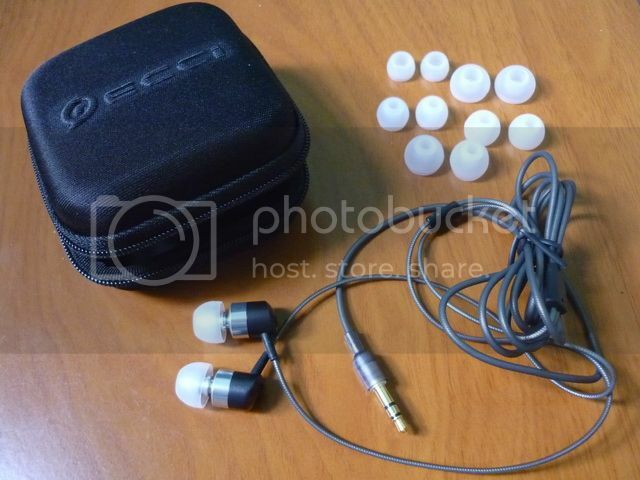 While PR100 might have a tougher time distinguishing itself over other similarly price IEM, PR200 is a pretty good choice as an entry level option: all-rounded performance with a good build quality and decent accessories at just the right price. Some might find PR200 to be a bit conservative sounding, but as an entry level IEM it will work great as a safe choice for those who have yet to develop or discover their own taste. The PR300 on the other hand is a slight improvement over than of PR200, more refined but also targeting a different demographic of listener who are into a more dynamic and exciting sound. 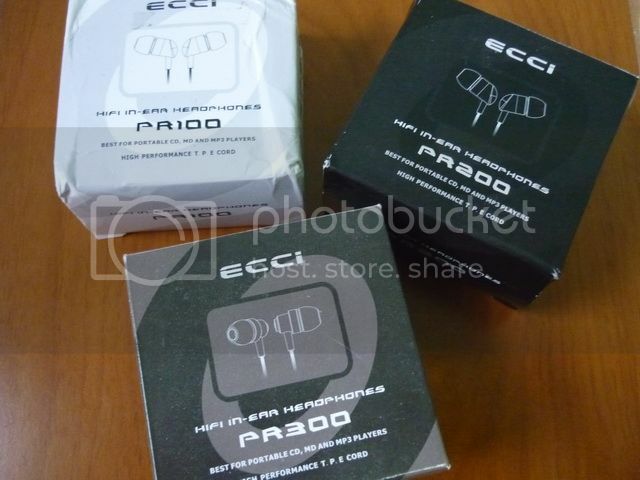 There are plenty of sub $50 IEM in the market these days but ECCI is able to keep true to its goal on offering budget oriented products without scarifying sound or build quality, making it a well worth consideration for those who are hunting for a good deal. This above rating is for ECCI PR100 only and may change without notice. Please refer to the list for a complete listing. This above rating is for ECCI PR200 only and may change without notice. Please refer to the list for a complete listing. This above rating is for ECCI PR300 only and may change without notice. Please refer to the list for a complete listing.